With over 30 years of clinically proven results, Obagi Medical Products are the number 1 physician dispensed skin care range in the world. The range is specifically formulated to transform the skin from within resulting in younger healthier looking skin. Acne is a long-term skin condition generally associated with breakouts of Whiteheads, Pimples & Greasy Skin and in some severe cases can lead to scarring. Obagi has a range of products that are effective for treating everything from occasional breakouts to moderate acne. Blue Peel RADIANCE® is a quick, superficial salicylic acid-based facial peel that exfoliates and helps improve overall complexion. It provides tighter, smoother, brighter-looking skin after just 1 use. A series of 4 – 6 peels provides the best results. It is perfect for clearing up blemishes and rough uneven skin and helps improve fine lines and wrinkles and mild to moderate photoageing. Obagi360® — a complete approach to proactively help protect and preserve youthful-looking skin. This unique skin care system is designed to protect the skin and address skin concerns of younger patients, while laying the foundation for a lifetime of radiant, healthy looking skin. The three products that make up Obagi360® are designed to work together to cleanse, protect and rejuvenate the skin. Long term exposure to the sun without appropriate protection is possibly the largest contributor to the visible signs of ageing. Protecting your skin from the sun’s harmful rays can reduce the chance of sunburn, brown spots (sun spots) and faster skin ageing, whilst helping to protect against skin cancer. As your skin ages and is exposed to UVA and UVB rays, the turnover of skin cells slows significantly, throwing off the balance between the growth of healthy new cells and the sloughing of old, damaged cells. Additionally, collagen and elastin begin to break down, causing the skin to lose resilience resulting in fine lines, wrinkles and sagging. Daily exposure to UV light then accelerates this aging process and may cause uneven colouring. The Nu-Derm® System penetrates below the surface of your skin to transform skin cell functions at the cellular level and correct the damage within. Using a specific dose and frequency that’s recommended specifically by your skin care professional for your skin condition, the prescription-strength system exfoliates old skin leaving healthy, new skin that looks and acts younger and healthier. Dry skin is probably one of the most common skin complaints and can result in redness, itching, flaking and cracked skin. Dry skin can be a result of a wide range of environmental factors such as water quality, soaps and detergents, sun exposure, vitamin deficiencies or even some medication. Dry skin can appear to worsen during the winter months with a colder outside temperatures and warmer interiors contributing to drying out the skin. Obagi Hydrate® Facial Moisturising products provide long lasting hydration. Obagi Hydrate® provides 8 hours of moisture and protection against dryness by using an innovative combination of shea butter, Mango Butter and avocado. Obagi Hydrate Luxe®, engineered with key biometric peptides, is an ultra-rich hydrator providing extra-strength hydration for the skin. It works overnight to nourish the skin during its daily repair cycle. As your skin ages and is exposed to UVA & UVB rays, the rate at which new skin cells develop slows down. As a result, the balance of new skin cells versus old is changed. Additionally, collagen and elastin begin to break down causing the skin to loose resilience. The visible signs of this ageing process are fine lines, wrinkles, sagging and discolouration. The eyes are a common area of concern. Often associated with signs of ageing, the eyes are also an area where people to tend to focus their attention improving the appearance of fine lines, wrinkles, dark circles or tired looking eyes are consequently a high priority for many people. Environmental stress, hectic daily routines, excess squinting and sun damage can all result in the areas around the eyes looking tired and losing some of their snap. Penetrating Therapeutics™: An Obagi technology that helps drive the ingredients deep into the skin where it can get to work. There are many different types of skin and skin conditions, however sensitive skin is one of the most common skin complaints. Whilst sensitive skin is not classed as a medical condition itself, it can cause a variety of issues for the sufferer. People with sensitive skin can be more prone to out breaks, sun burn, flare ups and redness. 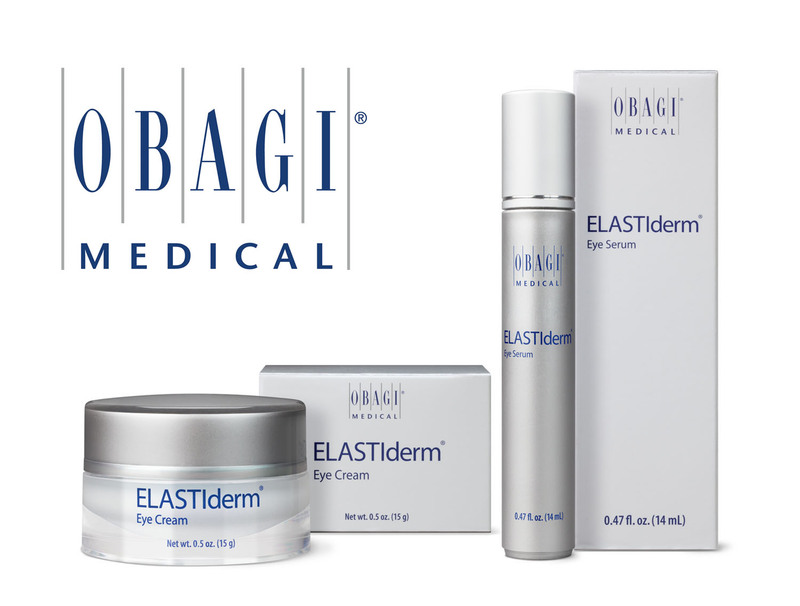 Within the Obagi Medical System, there are many products designed for, or that can help people with sensitive skin. Both the Obagi Nu-Derm® Systems and Obagi-C® Systems are available in sensitive skin versions. Obagi Hydrate is a rich hydrating moisturiser that is gentle on the skin. When coupled with Hydrate Luxe as a night time hydration treatment, sensitive skin can benefit from transformational results. Oily skin is a common concern. All skin types produce sebum or oil, which is controlled by the sebaceous glands in the dermis. When the sebaceous glands are over-active, the high production of sebum causes it to rise through the follicular pores and onto the surface of the skin. The over production of sebum or oil often leaves the skin looking shiny and greasy rather than healthy and vibrant. Over production of sebum can be provoked by a number of factors, including physical and emotional stress, over washing and scrubbing of the skin, or using overly harsh soaps and face washes. Many over the counter products formulated to help with oily skin don’t contain the right ingredients to penetrate deep enough to help address the problem. Obagi Medical Products have both a Nu-Derm System and Obagi-C® System specifically formulated for normal to oily skin, helping to transform the appearance of the skin and oil production.